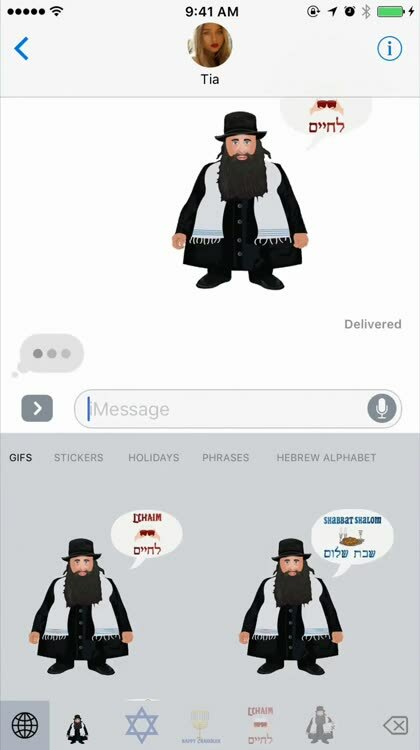 Shalomoji is the new Jewtastic way to communicate with your fellow Jewish friends and family! 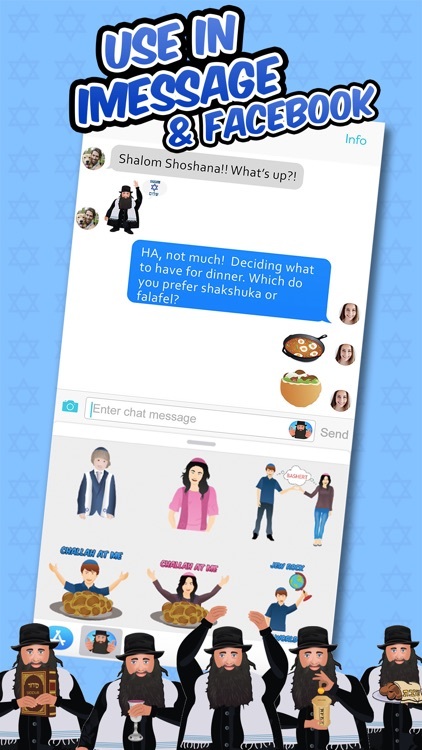 There's never been a more entertaining way to text "Shabbat Shalom" to your cousin, decide which Jewish food you want to make for dinner tonight (will it be matzah ball soup or latkes? 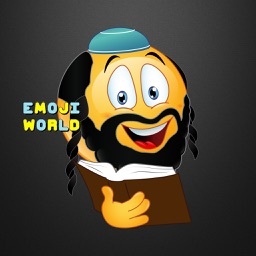 ), or congratulate your friend with a big "Mazel Tov" for getting a promotion at work! 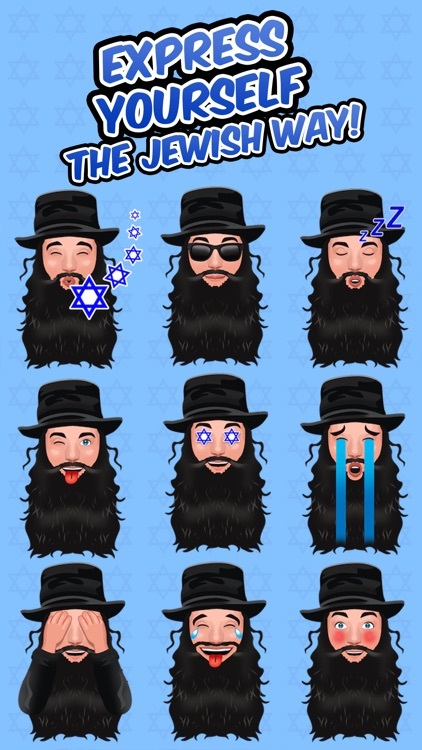 For those who are looking to kick it up a notch with their digital Jewish references, jokes, and conversations, Shalomoji is an iPhone must-have. 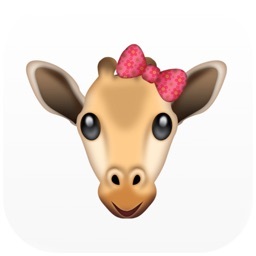 Categories include over 100 emojis that you'll be kvelling over for days! Get them all now, fellow Tribe member! 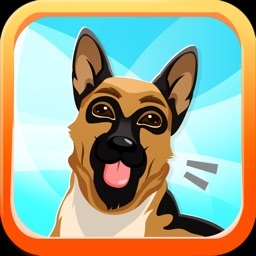 -Bonus Save to Library feature(located on Shalomoji homescreen)downloads Shalomoji in a photo file on your phone. You can then paste Shalomojis into FB as static images. FB still isn't allowing outside animated emojis. BUT, the good news is this bonus feature works even better in Messenger by enabling our animated emojis. 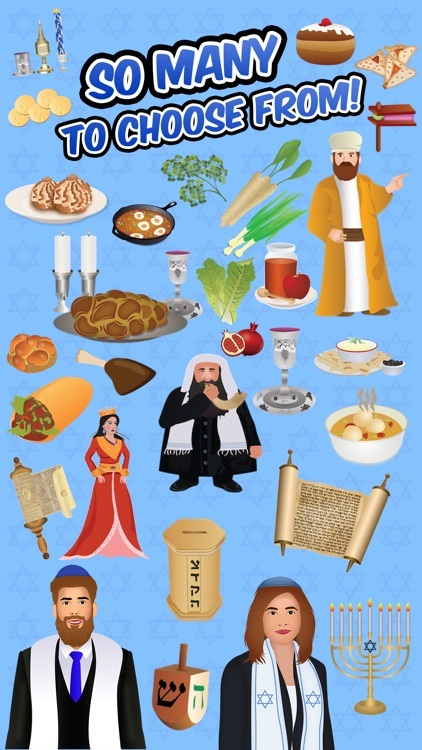 -Bring more Jewish flavor to your messages with a slew of synagogue-related stickers, Jewish symbols, biblical images, Ashkenazi/Sephardic dishes and MORE! -Attending services at a synagogue?Discussing the Rabbi’s latest sermon?Schmoozing at a Bar/Bat Mitzvah? 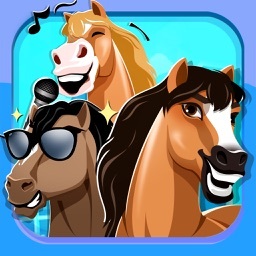 There are emojis and stickers for all of that! - Lighting the Shabbat candles, reciting kiddush, or simply planning to wish friends and family a Shabbat Shalom? 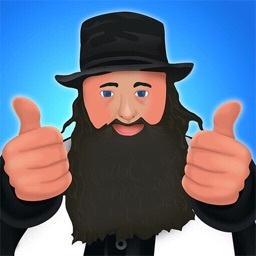 Fear not, you will find the perfect animated images to Jew up all your messages. 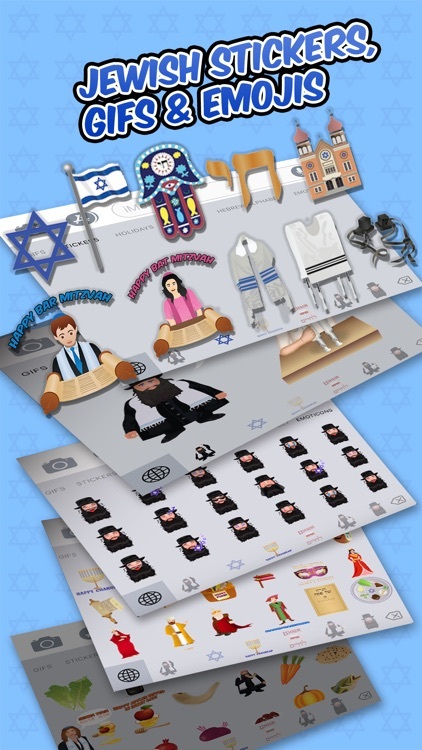 -Shalomoji also includes special Holiday greetings and stickers for Chanukah, Purim, Passover, Sukkot and Yom Kippur! -Tap the four oval icon on the lower left corner to open the app drawer. From there, tap the plus icon labeled ‘Store’ to access the iMessage app store. -In the App Store, tap the Manage tab in the top right to add your purchased apps to your app drawer. 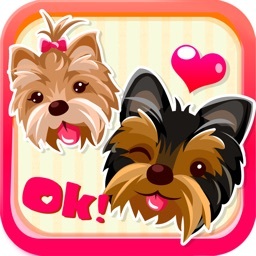 -PEEL & PLACE stickers on top of message bubbles or photos, just tap, hold and drop!